LBC’s Health & Physical Education (HPE) Department supports the overall mission of the college by preparing men and women to serve Christ through careers in teaching health and physical education, healthcare management and sport management. The HPE major trains students to teach health and physical education from a biblical worldview in both public and private institutions. Students will receive quality training, along with personal attention and mentoring, throughout their entire time at LBC. 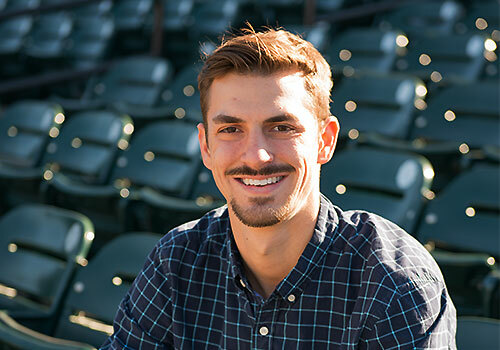 The sport management major prepares students for careers in every segment of the sport business world serving both secular and Christian organizations. The major integrates essential managerial skill development with effective ministry training. Students receive quality instruction from professionals who have previous experience working in the field. To read more about the Health & Physical Education department’s objectives and its effectiveness explore the links below. The sport management degree program at Lancaster Bible College has received specialized accreditation through the Commission on Sport Management Accreditation ( COSMA) located in Fort Collins, CO, USA. The sport management program in the following area is accredited by COSMA: Bachelor of Science in Sport Management & Biblical Studies.